We’ve all been in some sort of crisis situation where we’ve wished that we had a prior plan to handle it. PRAdvanced: #FuelTheFuture is bringing highly renowned speakers in the public relations industry to present their most useful advice for for managing a crisis. 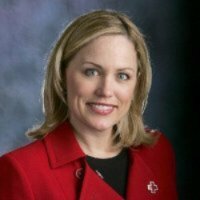 This Saturday, hear from American Red Cross’s Donna Morrissey, presenting on crisis communication and managing social media presence. Speaking on the panel is lifelong Bostonian Donna Morrissey, Director of Communications for the Red Cross. Morrissey was director during the crisis and aftermath of the Boston Marathon bombings. In response, the organization provided trained mental health workers to help families, handed out food, water and relief items; and held a blood drive. With how social media and technology has advanced, businesses need to be active and need to implement strategies to prepare for crises that are likely to hit; and even prepare for those that are unlikely. There’s no better opportunity to not only learn how to prepare for a crisis, but also to prepare for your own future career and interests. Haven’t registered for PRAdvanced: #FuelTheFuture yet? Register here!